You know how there are some books where you read the description and you know immediately you’re going to love them? That’s how I felt about Himself. I could tell before reading a single page of it that it ticked so many of my boxes. Crime fiction set in Ireland with a little magical realism thrown in—yes to all of that, all day long. I was so excited to read it, I had to Prancercise my energy out. And for the most part, the book fulfilled my sky-high expectations. Mahony, the devastatingly handsome orphan, now grown, who returns to the town of his birth to find out the truth of his origins, wooed me right along with all the ladies in Mulderrig. Growing up in a Dublin orphanage, he’d been told by the nuns that his mother had abandoned him, but he finds out that the truth might be more sinister than that. He and his unlikely sidekick, Mrs. Cauley, an old, crotchety lady with a heart of gold and theatrical aspirations, set out to investigate the disappearance of his mother through the unlikely avenue of a community stage production. Mulderrig is a funny place populated by funny people (both living and dead), and for a book about prostitution, murder, and corruption, Himself is snort-inducingly amusing. What kept it from being a perfectly perfect reading experience for me was some ambiguity in the final pages that took away my satisfaction in the ending. I read the passage over several times, and I’m not sure if the fault is on my part or the author’s, but one of the big questions I thought had been answered maybe wasn’t answered after all, and that left me feeling oddly crestfallen. 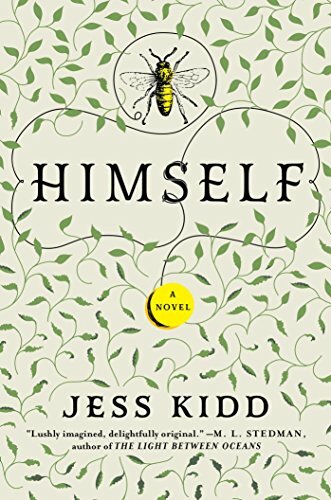 Still, I loved the whimsy and the magic and the sly wit, and will look forward eagerly to Jess Kidd’s next endeavor. I've read Sherman Alexie before, but—honesty time—I never really got what the big deal was. I read Absolutely True Diary of a Part-Time Indian because I was a teacher back in the day and I thought some of my students might like it, but I wasn't the target audience and it was just okay for me. I read Reservation Blues because it's on just about every list of recommended books by Native American writers, and although I found it to be solid literary fiction, for me it wasn't particularly affecting or memorable. Then I read Indian Killer, and you guys, I GET IT NOW. Given up by (or perhaps taken away from) his teenage mother, a Native infant is adopted by a white couple who bestows upon him the unsettlingly ironic name of John Smith. Growing up, John realizes he's not white like his parents, but because his birth records are sealed, he has no knowledge of his tribal identity. This hole in his life grows wider with the passing years. John isn't white even though he lives in his parents' white world, but he doesn't know how to be Indian either. No wonder John Smith is losing his mind. Meanwhile, a serial killer is stalking the streets of Seattle, scalping his victims with a ceremonial knife, leaving feathers behind as a calling card. John is troubled—his parents, his boss, even the two guys who work at the donut shop know this—but does that mean he's capable of ritualistic murder? 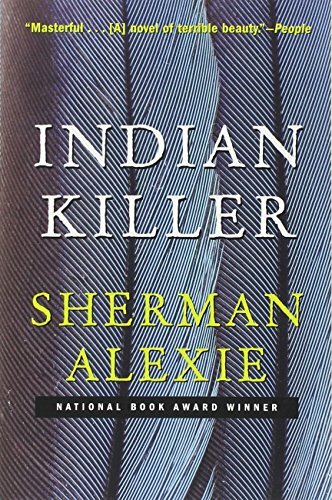 Alexie's novel may have been published 20 years ago, but it has an intense anger that makes it feel very immediate. I mean boiling, lava hot rage. I half expected the pages of my library copy to start steaming. The thing is, the wounds feel fresh. I couldn't stop thinking about the Standing Rock protest as I read. It has to be so exhausting to keep fighting this same fight over and over again. Less has changed in 20 years than I would have thought. Want to be a force for good? Start with your reading habits! I'm featuring books by writers from marginalized groups in direct response to what I see in the news. Follow along with the tag Reading is Activism for more.